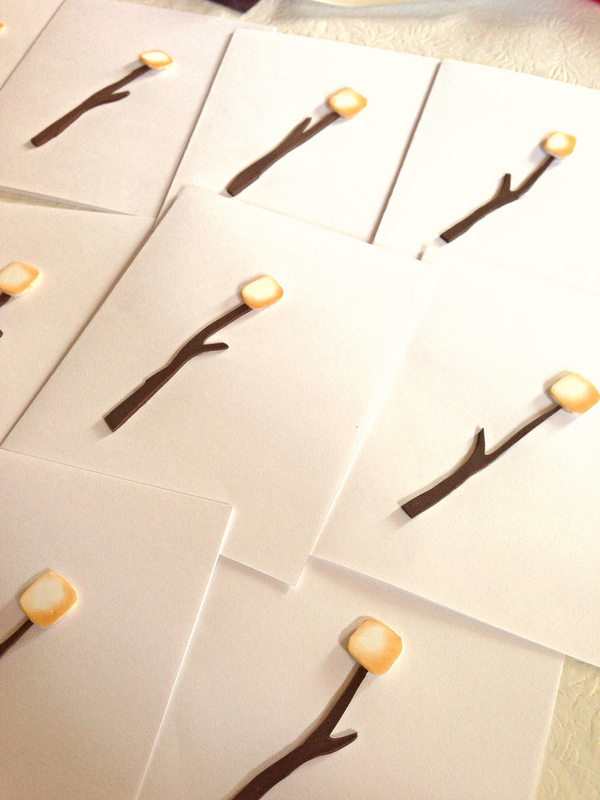 To complete Pazely's recent s'mores birthday party, I made quick little thank-you notes for her to mail. I found THE most perfect scrapbook paper--covered in graham crackers, chocolate bars & marshmallows. Total score. 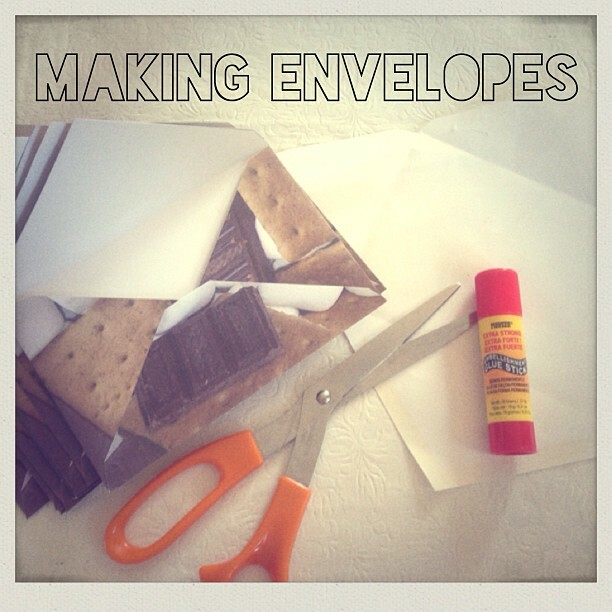 Making envelopes is so easy. Take an envelope, carefully open it up with a craft blade or knife, & then trace it onto your choice of paper. 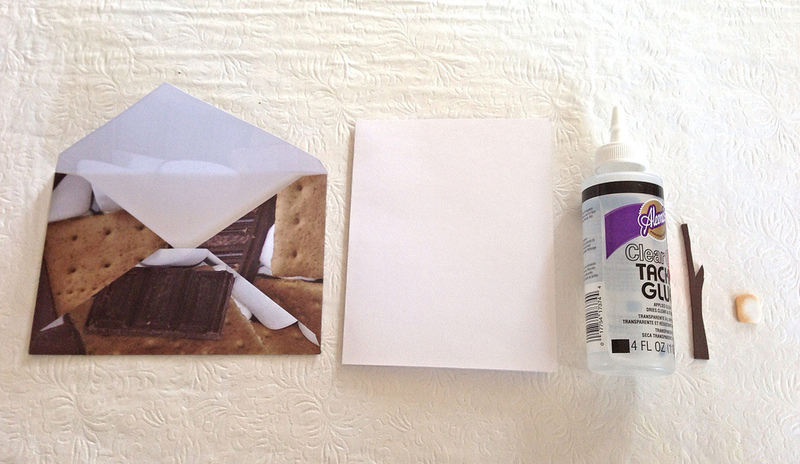 Once it's cut out, use a glue stick to adhere the appropriate sides together. For the notecards, I used pieces of paper from a sketchbook & cut them to size. 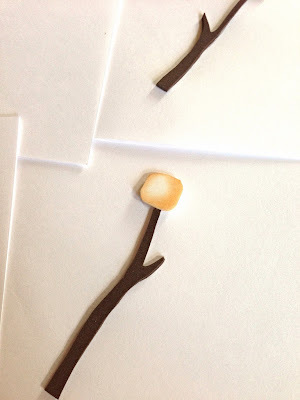 I cut out a roasting stick & a marshmallow from craft foam, just like I did for the party favor notebooks. Adhere with clear tacky glue. 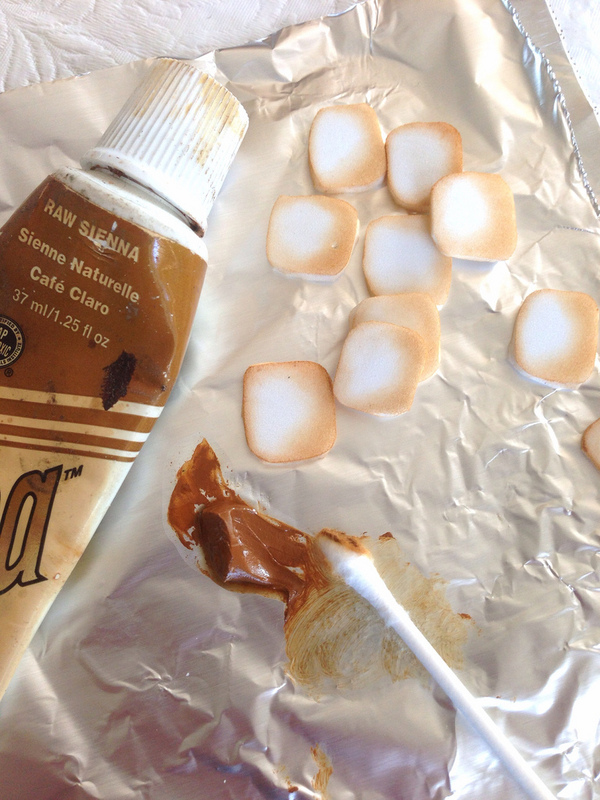 I thought the marshmallows needed "roasting", so I found the perfect color in my mom's basement. (Yep, still crashing at the parent's home until our rental is done being renovated.) 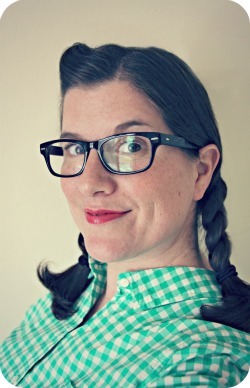 She happened to have oil paints, but acrylic works too. Since the pattern on the envelope is quick dark, I simply stuck a blank address sticker onto the front before addressing & mailing. To close the envelope, licking won't work of course. Use a glue stick instead. Continuing the theme of the party in the thank you notes will remind our guests of the fun they had, roasting marshmallows, & making crazy s'mores on a lovely evening by the river. Fantastic idea. Hope all is going well and that you have moved into your own house. I have just moved back to our house after spending four weeks with my parents due to our reno. So nice to be home.